Chellapilla Satyam, aka Sathyam, was a Telugu music director whom I featured a long time ago when posting a – for this blog – rare Tollywood score. 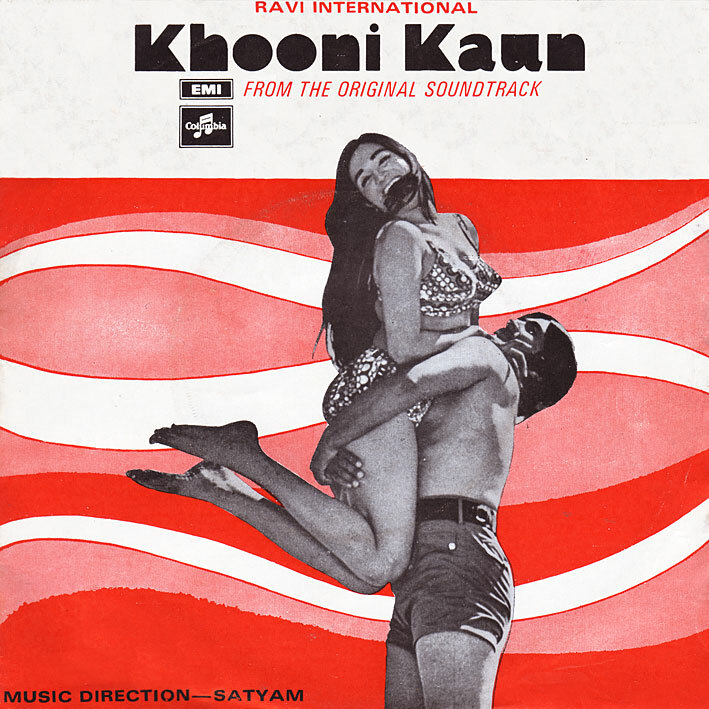 'Khooni Kaun' is one of his considerably fewer Bollywood efforts, but a nice one; cheerful sounding and fun. Like many of his contemporaries, Satyam took cues from RD Burman – you can plainly hear Pancham's influence on 'Yeh Beta' with its upbeat sunshine pop sensibilities and in the wild horns, choppy organ, relentless percussion and general funkiness of 'Aa Lag Ja'. They're both cracking tunes. 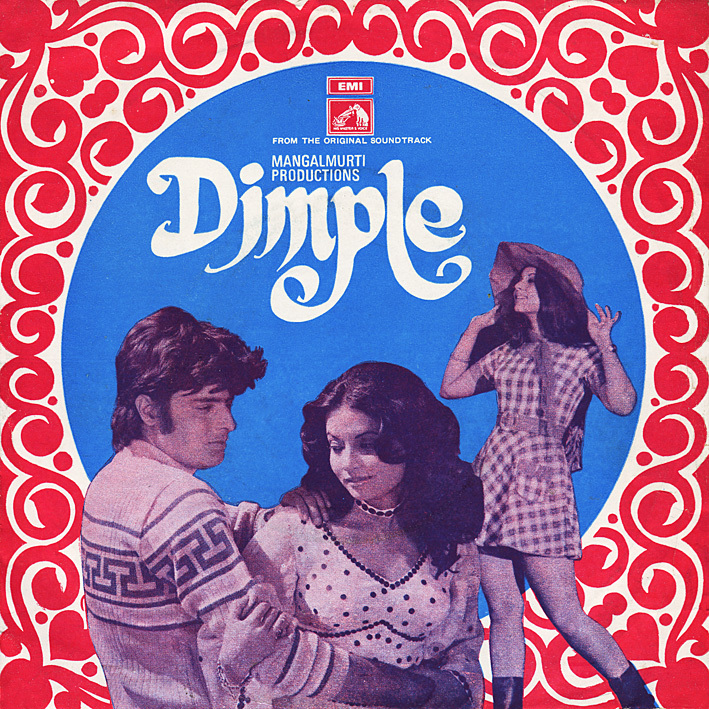 Vijaysingh's 'Dimple' offers more of the same. 'Jain Waadiyan Dilnasheen' is a sweet and lovely, almost loungy ballad sung by seldom featured Chandrani Mukherjee, 'Nadaan Hoon Sharmilee Hoon' is a summery 60s-pop-sounding duet, and 'Aao Sikhadoon Tumhen Khat Likhna' is a great fast-paced and slightly Latin-tinged number that's only let down by the non-inclusion of the harmonica intro heard in the film. Judging by the scarcity of clips and other info to be found online, neither of these films appear to be very well know. Does anyone know if LP versions of the soundtracks were ever released? But I could not stop making this request as it falls in 1975's EPs category. It's not so much choice and convenience as accessibility; I can't post what I don't have.